Merzouga hotel, Merzouga accommodation in Menzouga. 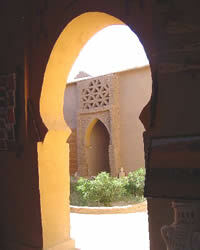 Rent Merzouga hotel, Merzouga accommodation, by owner in Merzouga, Morocco. In the doors of the desert, close to the palmerie of merzouga, ksar bicha is a hotel of charm, not far from the sand dunes of "erg chebbi".